Dr. Lambert and his staff care about the well-being and comfort of their patients. I have awful anxiety when I go to the dentist but he did everything possible to make me feel comfortable and I really felt at ease during the procedure. He is friendly, kind and extremely personable! My whole experience was excellent! Thanks again! Dr. Lambert and his staff are professional, polite and nice. He did a great job on my root canal. If you need root canal, you found the right place. I have had many root canal treatments, but never have I experienced the highest degree of professionalism, and such pleasant personalities Dr. Lambert, his chairside assistant, and the intake experience with Blair. Top shelf people, extremely accommodating and I offer all of them my highest regard. I would urge you to contact them if you need Endodontic treatment. A few years ago I was the patient of Dr. Lambert when he was in practice in Center City Philadelphia. When it became apparent that I was in need of another procedure, I immediately indicated to my Dentist that I wanted to be seen by Dr. Lambert. When I learned that he was no longer practicing in the City, the decision to come to his new office in Egg Harbor Township was not even taken into consideration, for the distance is really not that far, and I knew that his level of care and concern for his patients was far far more then I would find in Philadelphia. When one hears root canal it immediately conjures visions of pain and discomfort. This however would be the polar opposite of the treatment Dr.Lambert provides to his patients. Dr.Lambert is a highly skilled professional who is abundantly caring towards the comfort of his patients. His communication throughout the treatment was stellar. He was complimented by his very caring and professional staff. I would highly recommend his practice to anyone in need of endodontics. Dr. Lambert was the supreme professional when performing my recent root canal. At the same time he was pleasant, like a friend, keeping me relaxed throughout the procedure, asking whether I was comfortable and painfree. He was truly concerned and comforting about my drug sensitivity and was not annoyed that I reminded him on my second visit. I have told many friends as well as my referring dentist about this very positive experience. Thank you. Dr. Lambert is a true "mentch!" I was treated with the utmost care in order to make my visit comfortable. All the staff are totally professional, kind and caring. I have had no problems with my tooth at all. Thank you Lambert Endodontics! I certainly wasn't looking forward to the experience, but Dr. Lambert and his staff did a fantastic job. I did not feel any pain and he told me exactly what he was doing every step of the way which put my mind at ease. I would strongly recommend them to anyone needing a root canal. If a root canal can be a pleasant experience, believe me this one was. Dr. Lambert was professional, kind, gentle and personable. Cannot say enough. I believe your facility and staff are one of the best examples of professionalism I have seen in quite a while. Keep up the good work. My whole experience at Lambert Endo was wonderful. I would recommend you to family and friends. I was so scared by just the sound of a root canal that I scared myself. The old saying when things go wrong I rather have a root canal, well I would do it again. I was treated like an old friend, they talked to me throughout the experience and I would never be scared of anything Dr. Lambert would do as this was a piece of cake and so painless . If I only knew how easy and painless this was I would not be missing four teeth now. Thank you all so much and the staff were the best too! this was the first root canal that I had done by Dr Lambert I have had 2 other done by someone else ..this experience was by far so much better. What a fabulous experience having a root canal!! I never thought I'd say that, but everyone in this dental office was professional, kind and always concerned that they were giving you the best care. Dr. Lambert is a great dentist who explained everything and was concerned all through the procedure that you were comfortable and without pain!! Dr. Lambert and Blair are great! They are welcoming & make you feel at ease. I never thought getting a root canal would be such a breeze. The staff at Lambert Endodontics are professional, friendly, and fantastically trained! What a fabulous experience! Believe it or not going to this dentist was an awesome appointment. I came in very nervous for my root canal and exited with respect for Dr. Lambert and his assistant Blair. I have suffered no pain, swelling or discomfort after the procedure. Thank you so much for your professional treatment. While one never looks forward to having a root canal, the experience with Dr. Lambert is as good as it gets. Here, expect to be treated with the utmost in professionalism, respect, and friendliness. Dr Lambert will explain the process as you go along, and he and his staff will treat you like family. In my opinion, they set new standards in the world of dental medicine, and I thank them sincerely. I have been in fear of dentist(s) for over 20yrs from a bad childhood exp. To be clear; your firm has done wonders for my health. I can't thank your firm enough. I have had root canals before, and this is the "best" experience I have had. Dr. Lambert and Blair have excellent bedside manner and I will recommend them to anyone that needs a procedure. After hearing horror stories over the years about root canals, I was quite nervous about having one done. From the phone call to inquire if I could be seen that day (which I was)to the end of my procedure, the environment of the office was very calming. I too felt it was the "best" dental experience I ever had. There was no pain and I have and will continue to recommend Dr. Lambert and his staff. Thank you for a positive outcome! I was so impressed with Dr. Lambert and his staff! I was so anxious, but from my initial consult...to the finished root canal I was treated with such kindness and compassionate care. I'm feeling great...Thanks ever so much! Thanks so much for the great treatment that my mom received. She was put at ease and greatly appreciated Dr. Lambert's and his staff's caring attitudes and kindness. I would not hesitate to refer others to your office. My son needed an "emergency" root canal, and Dr. Lambert was kind enough to schedule him immediately, even though it was a holiday weekend. The entire process, from meeting with Blair, the office manager, to the actual treatment, went as smoothly as possible. Dr. Lambert did an outstanding job, and my son felt no pain whatsoever during the procedure or afterward. I highly recommend Lambert Endodontics! Let me tell how pleased I am with everyone at Lambert Endodontics: Everyone was so great to me, the caring, the professionalism - I am absolutely thrilled because my dentist will tell you I am the worst patient when it comes to working on my teeth. Again, thanks so much! I was in agony from a toothache when I came to Dr Lambert. An old root canal had become infected. Dr Lambert cleaned it all out and even found 2 canals that the previous dentist had missed! I have a dental phobia from a bad experience in the past. Dr Lambert was gentle, reassuring and professional. He even called to check on me the following day. I have since had a 2nd root canal done by Dr Lambert. I would recommend him to anyone!!! First I must say thank you to Dr. Lambert and his staff for the wonderful care they gave me not only during my root canal but Dr. Lambert's follow up with me and my dentist. They made an experience that I was expecting to be excruciating much more comfortable than I could have imagined. Thank You! Every person at Lambert Endo learned; practice and never forget, excellent Customer Service. The entire Root Canal process was professional and perfectly accomplished. They follow up and always consider the patient's comfort as paramount. I feel I have made new friends as well as acquiring a team of experts for my care. I haven't been to a dental facility as professional and warm as Dr. Lamberts office. From my first day there to the day that my treatment and surgery as well as follow up visits was over, I received nothing short of excellent care. Their website and follow-up emails are a great tool and make me feel like they truly are involved in my care! Thanks again! Dr. Lambert and his entire staff are quite wonderful. They are very professional, knowledgeable, kind, compassionate and patient. Dr. Lambert worked very hard to correct a most difficult problem. Always sensitive to my needs, he and Blair worked like a precision team. If anyone ever needs to have root canal work done, I would highly recommend Dr. Jason Lambert. I've had a lot of problems with my dental care through the years, however this by far was the most positive experience ever! Thanks Lambert Endodontics! 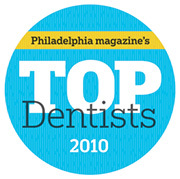 I have been a patient of Dr. Lambert's since 2009, when he was in Philadelphia. I recently experienced a toothache and went to see my dentist who discovered that I needed to see an Endodontist. He broke the news to me that Dr. Lambert had moved to NJ. I did not hesitate to make the appointment and travel to NJ to be treated by Dr. Lambert. I never felt the needle, Dr. Lambert was gentle and kind. He reassured me throughtout and made me so relaxed that I went to sleep during the entire procedure. The atmosphere and staff are inviting. I will travel to his office at anytime I need the services he provides. Thank you Dr. Lambert and much success and well wishes in your state-of-the-art New Jersey office. Dr. Lambert was my first choice when I needed two root canals. He is very personable, gentle, and advanced in his field. I am always terrified of Novocain shots but he made them painless. Even though he and his assistant did all the work, they made me feel like a team member. The office staff is amazing. The state of the art office and the technology used is impressive. Communication is excellent before and after procedures on the phone and through email. My own dentist worked closely with Dr. Lambert and also trusted him completely to provide the best care. You’ll never be able to joke that you’d "rather have root canal" again after entrusting your teeth with Lambert Endodontics. Dr Lambert and staff are true professionals! They respected my time. My root canal was quick and painless!! A very pleasant office, my treatment was the easiest and best that I have ever experienced. The staff was extremely cordial and Dr. Lambert gets a 5 star rating for his ease and comfort with the whole root canal experience. I would highly recommend this office and staff to everyone. Dr. Lambert saved the day for me. Last September I developed a painful abscessed tooth. I left a message with Dr. Lambert's office after hours on a Thursday evening, received a call back first thing the following morning and by 12 pm that day I was having emergency root canal. Dr. Lambert is a true professional, very knowledgeable in his craft, he kept me informed as to what he was doing during the entire procedure, his staff is courteous and his state-of-the-art office has a relaxing atmosphere that puts you at ease once you walk in the door. I would highly recommend Dr. Lambert to anyone who asked. Never had such a good experience going to a dentist. The entire team is really professional . They all know their role in their business and it made me feel really comfortable letting them treat my root canal. Doctor Lambert also followed up to make sure everything is okay, which I consider really personal and really important for a patient to get a phone call like this. In one word my experience there was EXCELLENT! I had been suffering with tooth pain for quite some time, being told by several dentists that there was no problem. I contacted a new dentist who referred me to Dr. Lambert. With the modern equipment utilized by Dr. Lambert, he immediately pinpointed my problem with abscesses and detected an additional root on one tooth that was not visible with standard equipment. He suggested a course of action, proceeded with the plan, and I am pain free for the first time in years. The best part, I didn't lose a tooth! Dr. Lambert and his staff are professional, friendly, courteous and caring. I would highly recommend Dr. Lambert and his staff. Dr. Lambert is Excellent, Gentle, Kind, Caring, Compassionate. He kept me informed as he went along with his root canal treatment. A true Mench!! His staff is caring and professional and very attentive to you and your needs. Dr. Lambert and his staff are extremely professional, compassionate and competent. I needed two emergency root canals and they fit me in to accommodate my needs and most importantly get me out of pain as soon as possible. I felt very comfortable with the whole experience and I would highly recommend him. I will go back again if I am ever in need of an endodontist. Let's start with I don't like dentists or dental work. I'm about as nervous as it gets. I was referred to Dr. Lambert for a root canal and was in constant pain. Dr. Lambert and his staff put me at ease, then something remarkable happened during my hour(+) treatment, I fell asleep. Not once, in my many visits for dental work, have I ever felt comfortable enough to do that. Look no further - Dr. Lambert knows what he is doing and will make you comfortable. Dr. Lambert recently performed a root canal for me. He spoke with me at length prior to the procedure and he explained every step of the procedure as the work was performed. His office is clean and his entire staff was efficient and courteous. I highly recommend Dr. Lambert. My visit with Dr. Lambert and staff was very easy and efficient. I was upset as it is as I was not interested in being there at all, however the staff and Dr. were very sensitive and responsive to my annoying attitude. Although the root canal that the Dr. performed was complicated, I am confident and happy that I was able to get treatment by an excellent doctor. The Dr. personally called me to follow up with the treatment. The office looks like a star rated hotel!! Thank you! I had to have an Apicoectomy. I was very anxious but Dr. Lambert and his wonderful staff did everything possible to alleviate my anxiety. Dr. Lambert did the procedure with much expertise and perfection. I want to thank Dr. Lambert and his staff especially Blair were so professional and caring. A special thank you to Dr. Lambert who called me the next day on a Saturday to see how I was doing. When my dentist informed me that I needed a root canal procedure I naturally wanted to know if he could refer me to someone. It was my good fortune that he recommended Doctor Lambert! His skills as an endodontist are unequaled! He is the consummate, if you ever need a root canal procedure this is the specialist I would recommend - without any reservation! His office staff is equally professional and patient / client focused. Regardless of how far you may need to commute (I traveled more than 50 miles one-way) go! You’ll be glad you did – I know I am. No more fear of root canals! After having a bad experience in the past when I learned I needed another root canal I was very apprehensive. No need. Dr. Lambert and his staff were very caring and professional. From start to finish I found this easier then expected. Thanks to all. Dr. Lambert performed root canals on my tooth after another endodontist said that the procedure would be very difficult due to narrowing caused by my age. Dr. Lambert's root canals were successful, my natural tooth has been saved and my tooth has a new crown. The procedure was virtually painless. Thank you Dr. Lambert and associates for making my recent root canal experience a comfortable one. My experience with Lambert Endodontics was superb from the first time I called, before I was even a patient, all the way through the completion of my treatment. The office staff went above and beyond to make sure all questions were answered and did everything within their ability to ensure your appointment was on schedule and you were as comfortable as possible. I was thrilled that Dr. Lambert himself called on a Saturday to follow up to make sure I was in no pain and that everything was okay. What Dr's do that? Outstanding ones! I can't speak highly enough about the care I received while in this office. Dr. Lambert, Blair & Team are the Best. I felt like a part of their family. Root canals aren't easy or fun but Dr.Lambert has a way of making it relaxing & confortable. I was sad to have to say good bye! I highly recommend them! Dr Lambert is one of the best doctors I've ever been to. He is so very dedicated to his patients. And his Staff is truly the best! Dr. Lambert was recommended by Dr. Keck and so grateful he did. The staff was pleasant, courteous, friendly, accommodating and respectful. I have a medical condition Dr. Lambert was very familiar with. He made it very comfortable and took preventive measures during my procedure. He helped me remain calm and completed my treatment with no problems. Dr. Lambert and his staff are awesome and I highly recommend them to anyone. Dr. Lambert and his team are all so nice, they make you feel relaxed and you know you are in good hands as soon as you call the office and speak to Blair. Dr. Lambert is wonderful. I highly recommend going here! Can't say enough about Dr. Lambert and the entire staff. My last root canal with Dr. Lambert was a great experience from beginning to end. I usually panic when I hear those words"you need a root canal" but I can honestly say this was easy. I am so happy to know Dr. Lambert. Thank you for your care! I cannot say enough good things about Dr. Lambert. Not only is he at the top of the scale with his technical expertise, but he also utilizes what I call his "yoga talk" to calm down high anxiety patients like myself. Of the dozens of dentists I have been to over the decades, Dr. Lambert is by far the most gentle, personable, and caring professional I have ever experienced. When he called me by name as he was drilling away on my tooth, I knew he was respecting me as an individual, and not just another patient in his chair. His small but mighty staff, made up of his assistant and Blair, share the same high quality of service and compassion for their patients. All three of them took the time to answer my many questions, and did not give me the "bum's rush" that is so common among medical offices today. I would not consider going anywhere else for endodontic needs. Team Lambert is THE BEST! Dr. Lambert and his entire staff made me extremely comfortable before, during and after my Root Canal Procedure. I was extremely apprehensive at first, but Dr. Lambert reassured me that everything will be fine, and it was. I will be going back to Dr. Lambert if I ever need a root canal again, but I hope I won't. Many thanks to Dr. Lambert and his staff for doing an excellent job. Dr. Lambert and his staff provided a safe, professional and pain free experience for me during my root canal experience. Like most people I had been anxious about the procedure. but, my fears were allayed once it began. In fact, during the course of a week I had two procedures. A caring atmosphere pervaded. This is the place to come if you need a root canal. Easy, painless, quick, and very professional. Dr. Lambert takes time to explain the process step by step. He and the staff are most concerned with your comfort. Five stars! Not a fan of the "dentist". Dr Lambert set my mind and body at ease. I nearly feel asleep during my root canal procedure! Very caring, calming, and professional. As good as it gets! Thanks Doc & Co.!-Fred. I suffer from intense fear and anxiety when I hear the word cavity or worse root canal. I required root canal. Ugg! I was treated with the utmost kindness, compassion and the dreaded procedure was completely painless from beginning to end. Thank You! Dr. Lambert and his staff are skilled professionals who provide clinical excellence and compassionate care in the most efficient manner. They are a standout healthcare provider and I felt so fortunate to be under the care of this practice on the multiple times I have needed them. I so appreciate their dedication and commitment to patient care and I have had nothing but the best outcomes! I was in extreme discomfort when I saw Dr. Lambert. He found the source of the problem and treated me after he finished a day of tending to his scheduled patients. I was so grateful that he made time to help me and I felt 100% bettor. It was worth the wait! He was so gentle and his staff was so kind and courteous! Truly professional and would recommend him to anyone who needs a root canal! He's the best! This office was excellent at getting me in ASAP. Dr. Lambert has a great bed-side manner. He was concerned that I was comfortable the whole time. Once he started he never left till he was done. That shortens the time in the chair. This was my 5th root canal but my first with Dr. Lambert. I would highly recommend him . His assistant was excellent also. Being a dental phobic the idea that I had to undergo a root canal was terrifying. However, my procedure was painless. Dr. Lambert was highly skilled but empathetic. He checked iin with me often to ensure I was as comfortable as possible. His office is very organized . I found my experience to be excellent. I was immediately put at ease upon entering the treatment room and meeting the Doctor and the staff. I felt comfortable, secure and trusted that they would take care of my needs. And they did. No pain whatsoever and a very pleasant and professional atmosphere. Thank you. Why did I have sleepless nights worrying about having a root canal?? After going to Dr. Lambert all my fears went out the window. He has a wonderful stafff, state of the art equipment and made me feel very comfortable and relaxed - even playing my favorite music for me - the Beatles. I will never worry about having a root canal again - it was a breeze! Thank you Dr. Lambert. My infected root canal tooth required surgery. Dr. Lambert took pictures and explained the procedure, and as a skilled endodontist he corrected the problem without pain. Everyone needs the peace of mind in knowing they did the right thing and believe me you are doing the right thing by using Dr. Lambert! I believe this is the best practice around. I had a root canal (with Dr. Lambert) and a new bridge that was installed by my regular DDS. I feel a lot better! Perfect job, absolutely no pain or any problem. Pleasant experience, even got to pick what music I wanted to listen to while the doctor worked on my root canal. Highly recommend this practice. Thank you. What a wonderful experience! Dr. Jason Lambert has a great chairside manor. He is extremely knowledgeable and made me feel I was in good hands. I have had several root canals by other Drs and have never had such a pleasant experience. I highly recommend Dr. Jason Lambert and his team of professionals! I can’t say enough about Dr. Lambert and his staff. I got an appointment the same day I called for that day and it was the Friday before Christmas. I have had very extensive dental work done previously. I have been to many Drs and surgeons and I have to say he is the best. When I went back to my prostidontist he was impressed with his work. How lucky I was to find him. He and his staff put you at ease the minute you walk in the office. Believe all of the many reviews and believe me...Dr. Lambert is an amazing, pain-free, endodontist. With a long painful history and phobia of sitting in a dental chair, I was luckily referred to Dr. Lambert by my new dentist. Don't wait, just call. The staff is amazing and they will get you on your way to feeling positive about fixing any tooth situation you may have!